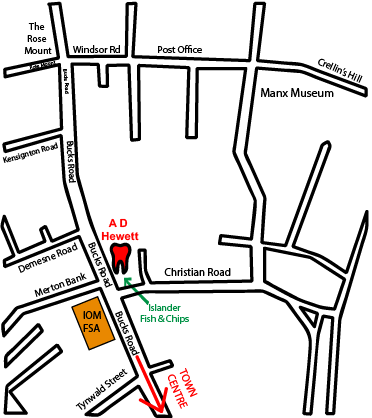 The practice is situated within a 5 minute walk from the centre of Douglas and adjacent to the main business area. The area is served by several bus routes. Street disc parking is available on many roads in the surrounding area. A disabled parking bay is situated outside of the practice. Please note: We regret, for confidentiality reasons, we are unable to arrange appointments by email. Please contact the practice by telephone if you wish to book or amend an appointment.